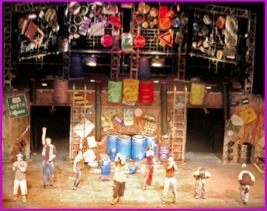 Last night we drove across town to the Teatro Anayansi to see the international touring production of Stomp - fifteen years, 350 cities in 36 countries. We “sort of” knew what to expect - music and dance and it had to be LOUD (Jane had even considered getting some earplugs) - but were surprised. Despite the variety of rhythms coming from brooms, chairs, trash cans, PVC pipe, tin cans and lots of other stuff - the decibel level was very low (even by our “old folks” standard). 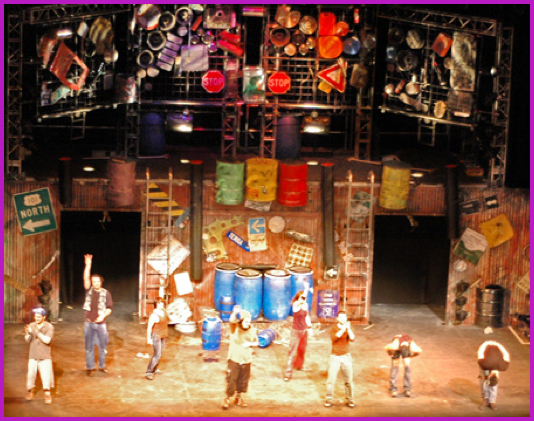 In fact, is was downright quiet for the “numbers” that utilized match boxes, Zippo lighters, newspaper and the like as “instruments.” The show was also surprising in that it contained a good deal of comedy and was very visual - you needed to pay attention, and everyone did (little unusual for Panama). We had a great night. Don’t miss this show if it comes to your corner of the world. Take care. 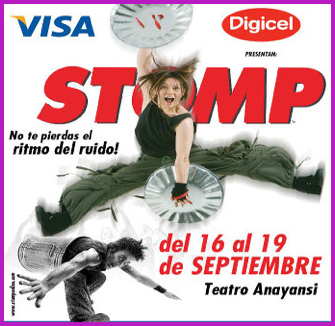 Hope you have a stompin’ good time.